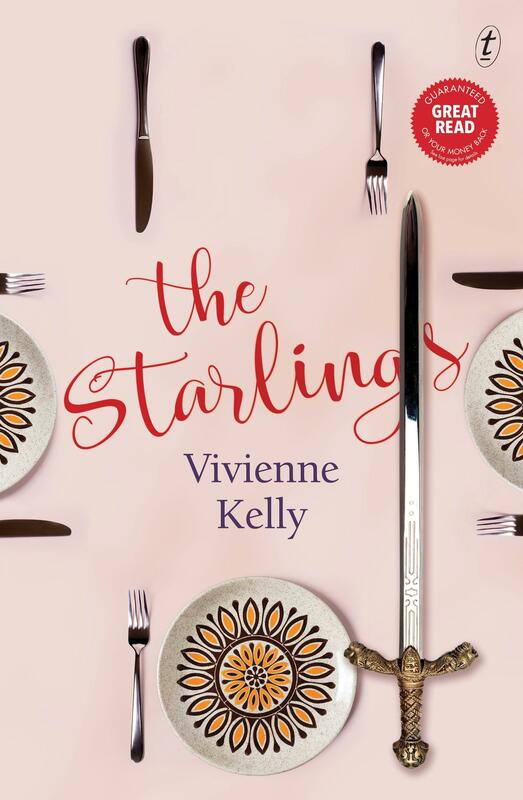 Set in 1985, The Starlings, by Vivienne Kelly, is the story of a family falling apart, as seen through the eyes of its youngest member, Nicky. It begins with Nicky’s eighth birthday, which his parents seem to have forgotten, because it’s also the day his grandmother, Didie, has died. In the months that follow, a series of events occur that turn Nicky’s world upside down. He is betrayed by those he most cares about, including Didie’s nurse, Rose, who he has formed a strong attachment to. Nicky’s father, Frank, is obsessed with football, to the point where he seems to have left all the parenting responsibility to Nicky’s mother, Jenny. He desperately wants his son to share his passion. Although Nicky wants to please his father, he prefers to lose himself in the stories of King Arthur and Shakespeare that his mother reads to him, performing his own versions, using synthetic figurines from the Heroes of the Cosmos. Football, the plays of Shakespeare and Arthurian legends are all interwoven in this story. The author draws links between Nicky’s disintegrating family life, the antics on the footy field and the tales of yore. I did wonder whether an eight-year-old would be sophisticated enough to, for example, write his own version of Macbeth. But then, children have vivid imaginations and create all sorts of fantasy worlds for themselves, so he could be. On the whole, I enjoyed reading The Starlings. Being a footy fan myself, I liked reading about the exploits of the players, who these days appear on our screens as commentators. It was also very touching to see Frank, who seemed to care only for his beloved Hawks, step up and support the emotional needs of his children when things started to go wrong.